One recurring issue with smart plugs / sockets is that they are often designed with a specific prong type, so if you want to use them in our country you may have to add an adapter, which may not be ideal, since the socket may fall off or have bad contact. 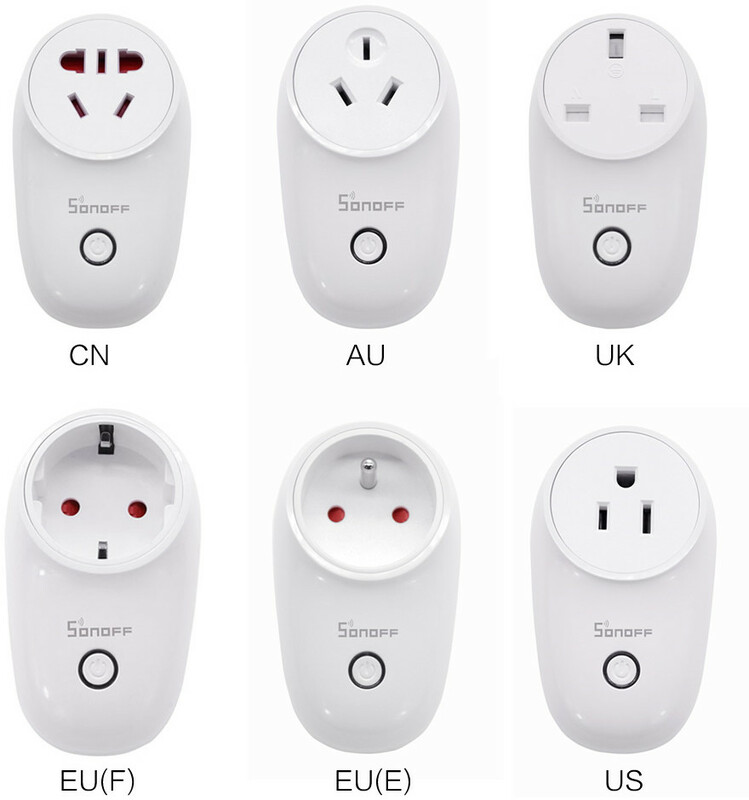 Sonoff S26 WiFi smart plug solves that issue as ITEAD Studio made it available in six different versions for China, Australia, United Kingdom, Europe type F, Europe type E, and the United States. Just like other Sonoff devices, Sonoff S26 can be controlled via eWelink app fo Android or iOS, and works with Google Nest / Goole Home, Amazon Alexa and IFTTT. However, as usual, while the smart socket has some safety features, the company did not independently certify it with UL/ETL or TUV, so it may cause troubles with your insurance in case of fire. It’s very likely the socket is based on ESP8266 or ESP8285, so open source firmware support may come soon from either Sonoff-Tasmota or ESPurna projects. Wow, they’ve really stepped up their game. They’ve finally done proper plugs for all common plug types. As long as they’re properly certified, these might be worth using. Only shame is the 10A rating, but I guess it keeps their cost down. But advertising it as something that would work with your water heater then, is simply dangerous, as it would most likely use a lot more than 10A. All good for Australia, breakers for power points are rated at 10A. I still see no indication that they have visited the UL/ETL offices a few miles away from their factory despite prompting by many people. And I have zero intention of installing something like this without UL/ETL testing. Watch it catch on fire when you are asleep or not at home and you have a disaster. Have they not learned from the hoverboard mess? It’s nice to see them try and get things right, but as the device is not internally fused it’s a major risk at least in the UK where many heating devices are going to draw 3000W. The UK market even has a wide range of 3000W kettles – we do love a quick cup of hot tea here. Maybe they will get it right with the next version. I would be happy to pay a bit more and get something that works correctly. I would pay even more if they could get their POW R2 device into such a module as that has monitoring features and is rated to 3500W. Is this just for on/off or can it monitor power draw too? Power monitoring is not mentioned, so it’s safe to assume it’s only for on/off, especially at that price. Their power monitoring model Sonoff S31 goes for $16.90. But no Australian version AFAIK. Is it really Australian standards compliant? I know a plug will fit ok but for one it’s upside-down. They have likely discovered that US customs randomly inspects shipments for FCC certification and if you don’t have it they impound your shipment and block all future shipments until the matter is resolved. Resolving this problem is expensive and can take months. UL is different. UL is not a government requirement up front. What UL does is certify that your product is safe which then allows you to buy product liability insurance for it. 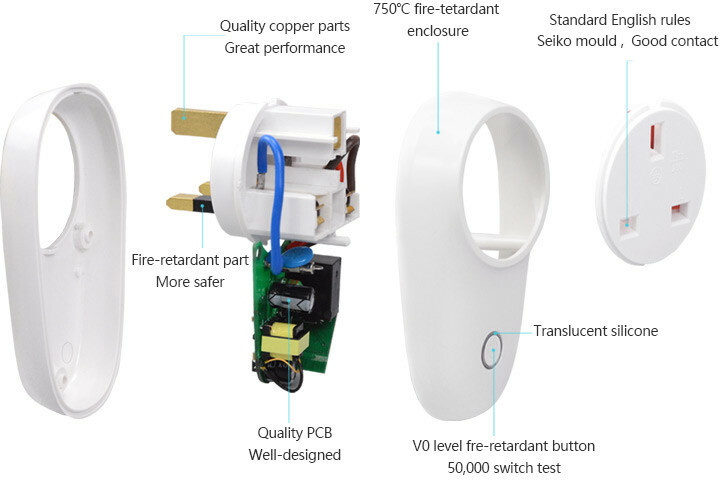 I suspect this manufacturer does not have product liability insurance so if one of these devices burns your house down your own insurer may not pay and then this company won’t pay either because it is uninsured. All of the big retail chains in the US will refuse to sell non-UL/ETL listed devices because of the insurance liability problem. When your house burns down your insurer is also going to sue the place that sold you the product and the manufacturer. The devices are sold on Amazon by one-man-shows which use Fulfilled-by-Amazon. You are not buying these from Amazon with their inherent liability protection. When the lawyers arrive these small operations just fold up and disappear. Hoverboards went down this same path. Houses burnt. People got injured. Lawyers tried to sue Amazon and then discovered that Amazon was not the seller. US Customs got involved and banned all hoverboard shipments. Now customs checks hoverboards for UL listing before allowing them to enter the US. Now that they are UL inspected they have stopped catching on fire too.